Heart rate monitors on wrists are convenient. Not everyone has the time (or money) to go to a fancy exercise doctor to see how their heart performs while they’re working out. However, wrist based heart rate monitors are notoriously inaccurate. They are close enough for the casual jogger. But if you are ready to get serious about your exercise, then it’s time to think about an equipment upgrade. And that means a heart rate monitor that straps to your chest that is almost as accurate as an EKG. Forutnately for the data-driven amatuer athlete, there are plenty of chest strap heart rate monitors that can give you pro-level feedback about your workouts. Here are the best ones you can buy right now. 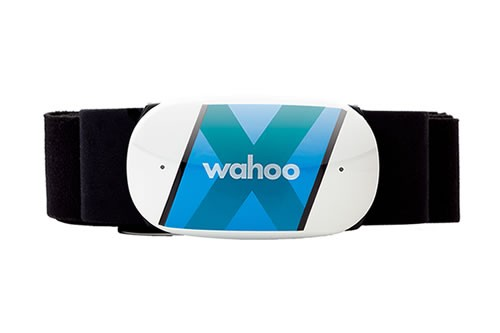 The Wahoo Tickr X is a highly accurate chest strap heart rate monitor that’s compatible with just about any other fitness device that you use. It’s capable of dual band ANT+ and Bluetooth transmission. That means you can connect it to your ANT+ device, such as a Garmin watch, or you can connect it to a bluetooth device, such as your phone or Fitbit. But if you use it without a separate fitness tracker, the Wahoo Trickr X can still log your workout data. The compatible app has settings for running, cycling, treadmill running, static cycling, and spin class. Along with heart r, you can track your cadence, distance, time, and pace. If you run or cycle outdoors, you can also get GPS data of your route. Polar sets the gold standard for heart rate monitors, and the Polar H10 is a worthy addition to its line of wearables. The Polar H10 is an update to the Polar H7, and boasts a few upgraded features. The coolest one is probably the new internal memory, which stores workout data rather than sending it directly to your phone or fitness tracker. So you can do for a run with the H10 strapped to your chest, leave your smartphone at home, and sync the data when you return. Polar also says they’ve made some tweaks to improve the accuracy of the device. Looking for something that’s a little more lightweight? The Smart Tracker from Suunto, which retails for $85, is about as compact as it gets. The sensor itself weighs just 40 grams and is roughly the size of a quarter. You simply clip the sensor into an elastic band, strap it to your chest, and it will record your heart rate data while you workout. This is a no frills heart rate monitor. It only monitors your pulse, but the Smart Tracker is highly accurate and fits comfortably underneath your clothing. 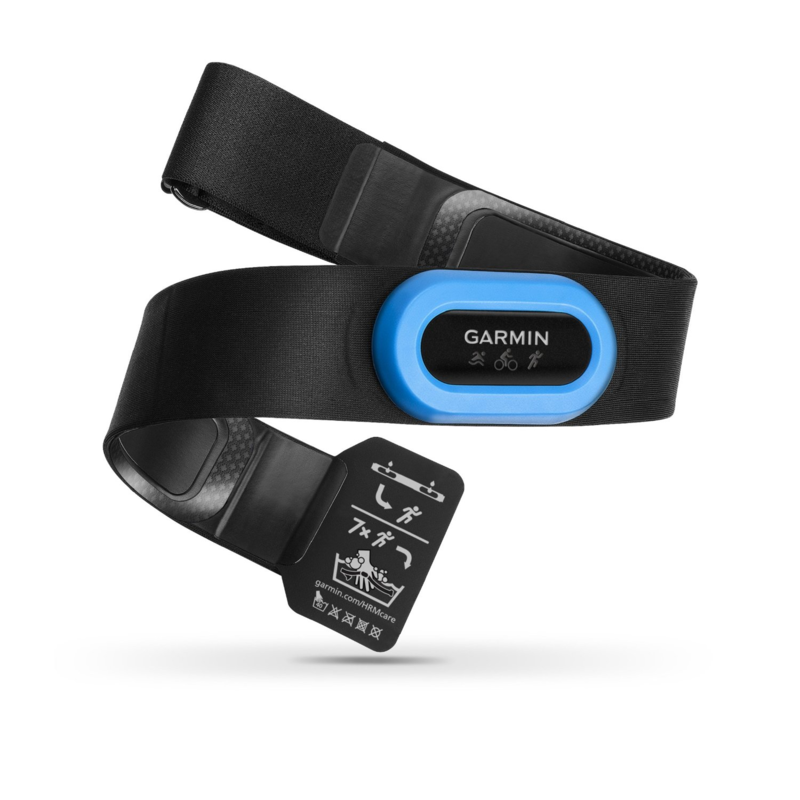 The Garmin HRM Tri is designed specifically for triathletes. It’s packed with features that help you track your workout data whether you’re running, swimming, or biking. While you’re running or biking, it can immediately send data to your device, like a typical heart monitor. While you’re swimming, it can store data and then sync once you get out of the water. And since it’s made by Garmin, it’s seamlessly compatible with a broad range of Garmin watches, including the high-end Garmin Fenix 3 HR and Garmin Fenix 5. 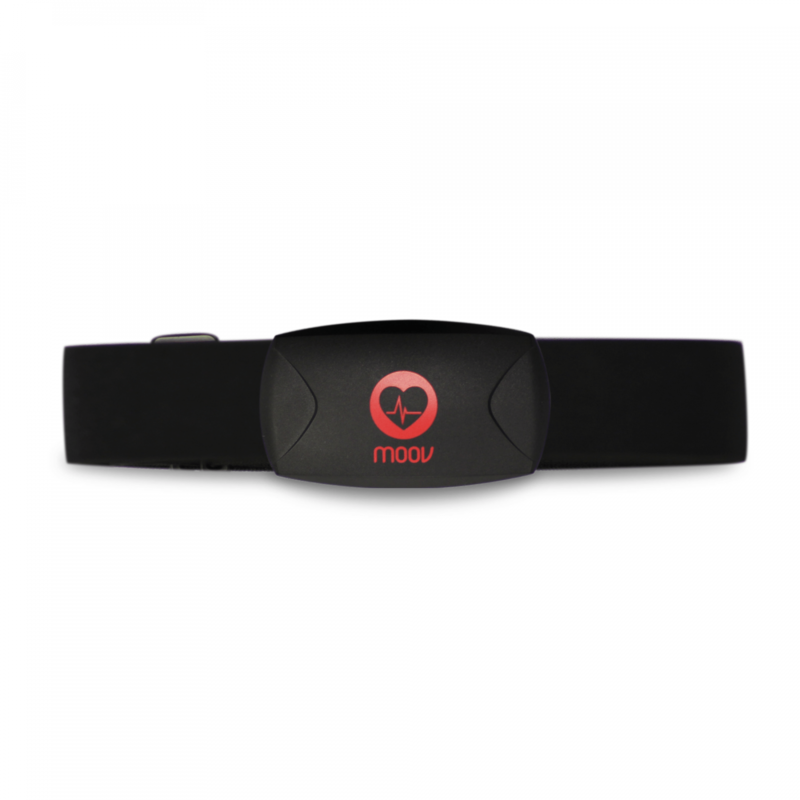 The Moov HR Burn is notable for two reasons: it's one of the most affordable heart rate trackers on the market at $69.99, and it's designed to communicate with the Moov smartphone app, which provides real-time coaching.. This real-time coaching feature helps guide you through a workout based on your heart rate zones. The Moov HR Burn comes with a range pre-loaded workouts — such as high-intensity interval training and circuit training — which make it a good choice for anyone who isn't sure what exercise they should do with their heart rate monitor. 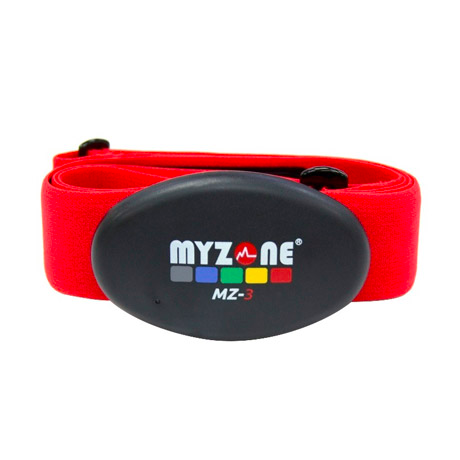 The Myzone MZ-3 boasts a number of specs that make it a solid all-around tracker. It has an impressive 99.3% accuracy rate when compared to an EKG. You can use the MZ-3 for an astonishing 300 hours before needing to charge it, and it has 16 hours of internal memory, which means you don’t have to connect it to a device when you go on long hikes and runs. Myzone doesn’t guarantee data collection underwater, but it still offers enough value to justify its $159.99 price tag. Fortunately for data-driven amateur athlete, there are plenty of chest strap heart rate monitors.